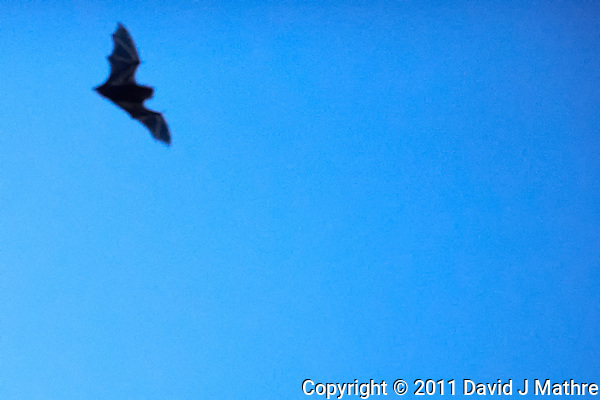 Bats in Flight at Dusk. 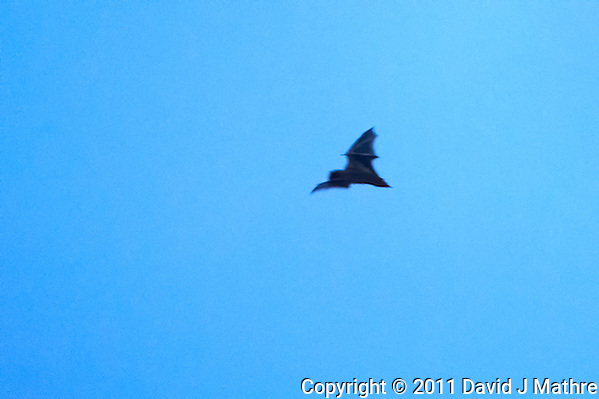 This evening as it was getting dark I noticed there were several bats flying around in my backyard. 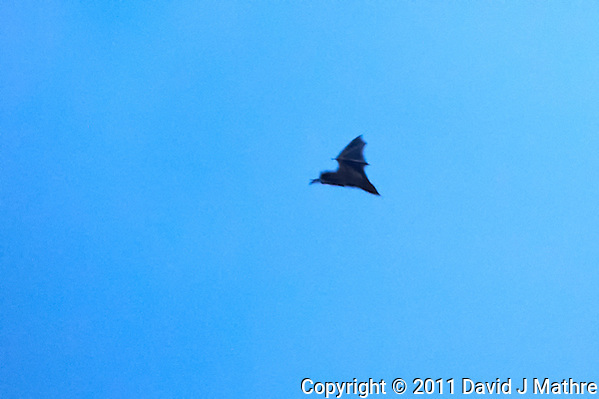 I knew that it would be a challenge to capture an image of the bats as they darted around chasing insects. 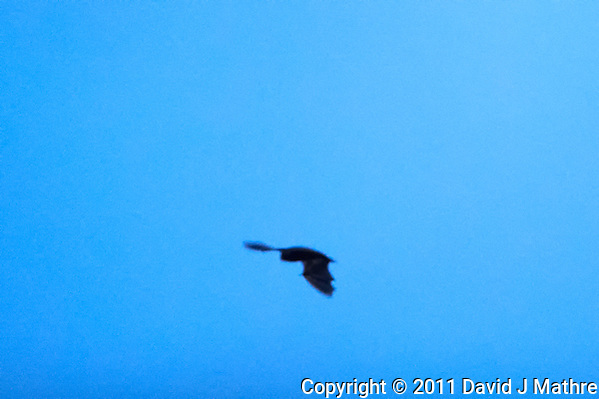 The following images were taken with a Nikon D3s camera at 12800 or 102400 ISO using a 400 mm f/2.8 D II lens. 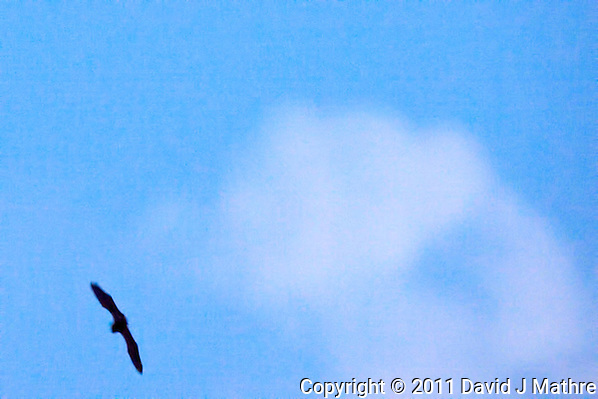 The bats were moving too fast to follow using a tripod or monopod, so I was doing this hand-held. This is not a combination that you can hand-hold for long periods. I also wish that I had the VR version of this lens. There was no way that autofocus would work, so I manually set the focus distance to 25 feet and shot in high-speed burst mode anytime the bats flew by at about that distance. Of about 600 images, the following 6 were the best. 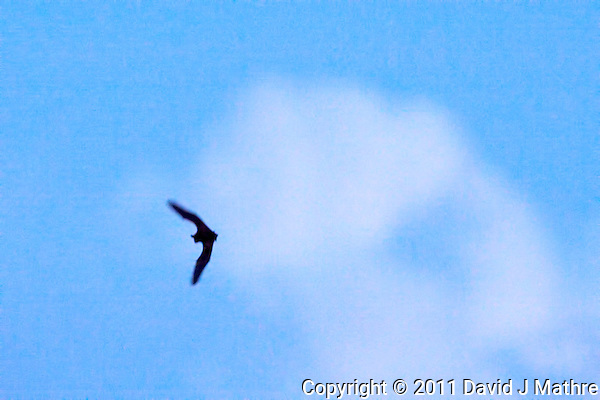 I am open to suggestions how to do a better job capturing images of bats in flight.